« Look like anyone you know? Welcome to Friends with Flair Friday! Today I’m sharing a card I made with the Unity Brave Girl kit featuring art by Melody Ross and patterned paper from The Girls’ Paperie. LOVE these stamps! Love this paper! The sentiments and images are just beautiful, and if you like ’em and would like a little love in your mailbox everyday, you must sign up for the Brave Girls mailing list. Seriously beautiful stuff there – The Daily Truth always seems to be just what I needed to hear. Thanks so much for stopping by! You can find all of the Friends With Flair participants here. Accessories: tons of dimensionals, May Arts ribbon, Kaiser rhinestones, Nestabilities, MFT scalloped borders, button and velvet leaf from my stash, pins from Jenni Bowlin. Flowers are from a necklace brooch that I ripped apart and repurposed. The burlap-y fabric was just too itchy to wear! I am so excited you stamped. I love the paper and stamps you used. Beautiful! Holy Gorgeousness, Jenn! LOVE this! Wow, This card is gorgeous! I just love this paper too 🙂 and I just started getting the daily Brave Girls emails and they are just so inspiring!!! This is soo gorgeous Jenn!!!TFS!! 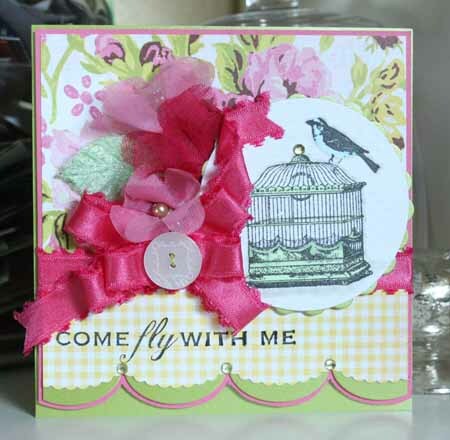 Beautiful card, love all the ribbons! Beautiful card! The ribbon is fantastic! 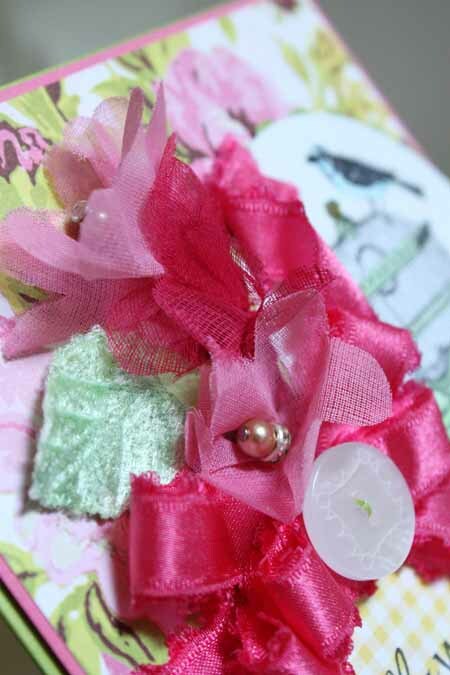 OOoh, love all the layers and the flowers! Gorgeous card Jenn and those colors shoud out ‘happy’! I’m ordering that stamp set today! stunning….the ribbon treatment is wayyy cool! What a great way to start my day, with such pretty eye-candy! yaaaahhoooooooo! Woah! This is stunning & gorgeous (just like you!)!!! Love your combo of the paper, the stamp and the embellies!!! So very chic & pretty! And thanks for the newsletter tip!